Kind of Pink and Purple: A Concert Experience- Jason Moran "Fats Waller Dance Party"
A Concert Experience- Jason Moran "Fats Waller Dance Party"
This past Friday I had the pleasure to go to the Berklee Performance center to see Jason Moran "Fats Waller Dance Party" as part of the Boston Celebrity Series. 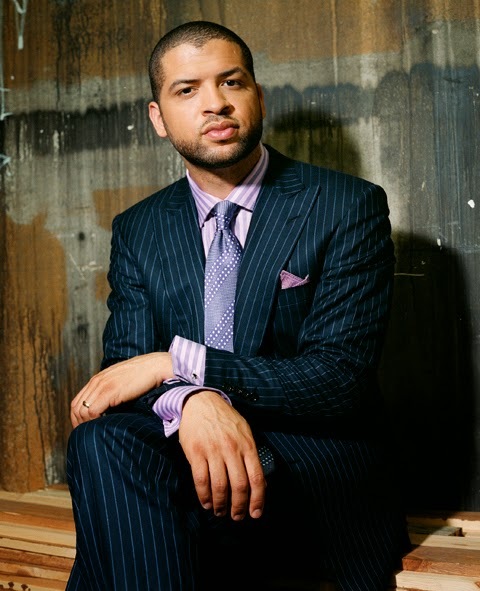 Jason Moran is a jazz pianist, composer, and bandleader. He combines stride, hip hop, world, avant gard, classical, and other genres into his jazz playing. He was named a MacArthur Fellow in 2010, and is a musical advisor at Kennedy Center. He is very inspired by Thelonious Monk, and of course, Fats Waller. I was really excited to go and see Jason Moran's "Fats Waller Dance Party". For one, Jason Moran is a very creative pianist, always on the edge of the new. And I love Fats Waller's music, and his songs like "Honeysuckle Rose" and "Ain't Misbehavin'". And who can turn down a "dance party"? Well, the concert was definitely a dance party- which I thought was great since most jazz is a sit-down kind of music. And there's nothing wrong with that- sometimes you just want to sit down, relax, and listen to music. Yet, jazz was originally played as dance music- so Jason Moran's aim at recreating Fats Waller's music was a great idea. A lot of Fats Waller's music was used as dance music while he was alive. And what I liked about this concert was that it was unexpected for me. I came in thinking that he was going to play a lot of old time sounding songs. Yet, Moran mixed a broad range of sounds into his recreation of Fats Waller's music. He made the music seem fresh and new with his own arrangements of the standards- a lot of sounds had a modern, hip hop/ R&B/ soul kind of sound infused with jazz. There were two singers, that mixed new interpretations of "Honeysuckle Rose" and "Ain't Misbehavin'", among others so that they were modern. And the entire time everything was still danceable! Moran alternated between a modern hip hop kind of sound, and old time stride sound during the concert. 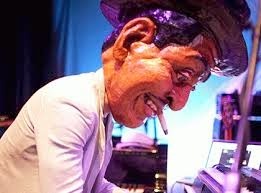 Moran even wore a mask for part of the show that made him actually look like Fats Waller. I really liked when they played "Lulu's Back in Town" because it was very fresh sounding. What impressed me about the concert was the amount of energy the musicians exuded- everyone danced on stage, and wore the biggest smiles. This energy radiated to the audience. There were even dancers on the stage adding to the "dance party" element. My only complaint was that the Berklee Performance Center is not a good place to get up and dance- I could only move back and forth in my seat, because I was not near an aisle. Yet, even without being able to actually dance, the energy was there. Final Thoughts: I really enjoyed Moran's fresh interpretations of old time classics. It was really cool to hear someone give new life to old songs, and make them danceable in a modern kind of way. Moran paid homage to a jazz great, while also paving his own path, and I think that is what jazz is about- respect for the past and bravery for the future.